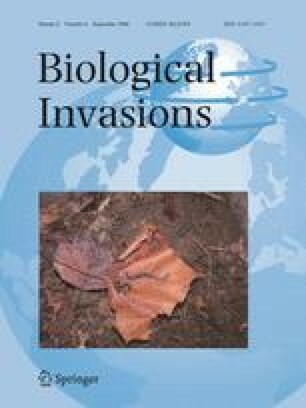 The effects and implications of invasive species in belowground terrestrial ecosystems are not well known in comparison with above-ground terrestrial and marine environments. The study of earthworm invasions in the tropics is limited by a lack of taxonomic knowledge and the potential for loss of species in native habitats due to anthropogenic land use change. Alteration of land use plays a major role in determining the abundance and community structure of earthworms and the establishment of exotic earthworms in areas previously inhabited by worms. Once an exotic species has become established into a new place, site and species characteristics seem to be key factors determining their spread. We reviewed the literature on the distribution and effects of exotic earthworms to understand the interactions of earthworm invasion and land use history in the tropics. Patterns in the abundance, effects and mechanisms of earthworm invasions on ecosystem processes in the tropics are elucidated using Pontoscolex corethrurus as a case study. We thank Maria M. Rivera and the IITF Library Staff, especially Jorge Morales for help with references. Carlos M. Domínguez-Cristóbal provided invaluable historical assistance. Ariel E. Lugo shared good insights towards the conceptual model. William A. Gould, Ariel E. Lugo, Timothy R. Seastedt and two anonymous reviewers kindly provided comments on an earlier version of the manuscript. Grant DEB-0218039 from the National Science Foundation to the Institute of Tropical Ecosystem Studies, University of Puerto Rico, and the USDA Forest Service, International Institute of Tropical Forestry as part of the Long-Term Ecological Research Program in the Luquillo Experimental Forest provided some financial support during the writing of this manuscript. Additional support was provided by the Forest Service (U.S. Department of Agriculture) and the University of Puerto Rico.